It charts the end of Hollywood's golden age and the Manson Family murders — and features everyone from Brad Pitt to Al Pacino, Leonardo DiCaprio to Margot Robbie. Leonardo DiCaprio making his first movie in four years, a swaggering Brad Pitt spitting out wry dialogue, 60s showbiz laid bare, and Australians Margot Robbie and Damon Herriman playing Sharon Tate and Charles Manson — it must be Quentin Tarantino's Once Upon a Time in Hollywood. One of 2019's most anticipated titles, the acclaimed filmmaker's ninth stint behind the camera travels back five decades to tell the tale of fading TV star Rick Dalton (DiCaprio), his trusty stunt double Cliff Booth (Pitt), his neighbour Tate (Robbie) and an industry that's changing fast. Set in Los Angeles in 1969, it's a story that charts the end of Hollywood's golden age, the Manson Family murders and everything going on around Tinseltown at the time. Tarantino loves jumping into the past — thanks to Inglourious Basterds, Django Unchained and The Hateful Eight, this is his fourth consecutive period piece — but he might've found his ideal niche. For this journey back to fame, fortune and crime gone by, he's also amassed a who's who of the film's titular town. Get ready — it's a long list. Tarantino regulars Kurt Russell, Tim Roth, Bruce Dern, Zoe Bell and Michael Madsen all feature, as well as Dakota Fanning, Lena Dunham, Al Pacino, Timothy Olyphant, James Marsden and the late Luke Perry. Nodding not only to Hollywood's past and present, but to its future, up-and-comers Maya Hawke and Rumer Willis also pop up (they're the daughters of Uma Thurman and Ethan Hawke, and Demi Moore and Bruce Willis, respectively). Basically, Tinseltown today delves into Los Angeles' darker days, a behind-the-scenes Hollywood caper meets US crime history, and Tarantino might've taken some inspiration from the Coen Brothers' Hail, Caesar! — at least if the ace and amusing initial teaser for Once Upon a Time in Hollywood is any indication. 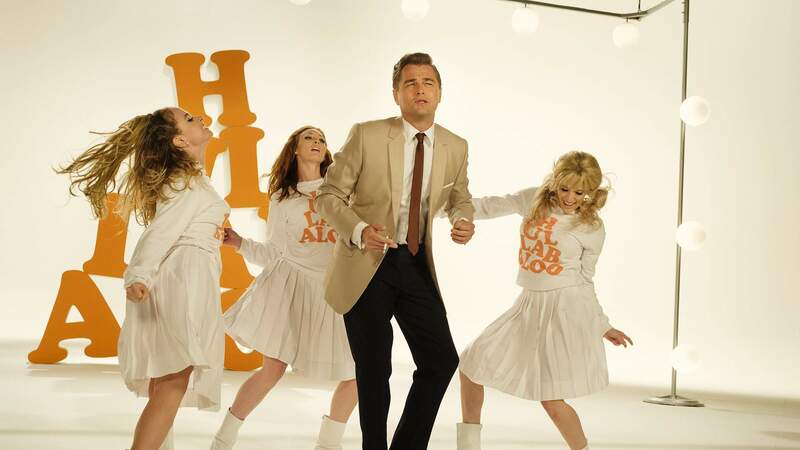 Once Upon a Time in Hollywood releases in Australian cinemas on August 15. Image: © 2018 CTMG, Inc. All Rights Reserved.